ItemD-00158 - SS Rosebery And A Barge Breaking The Ice On Slocan Lake. ItemC-06147 - SS Rosebery Beside Slocan Lake Awaiting Breakup. ItemB-01627 - "Steamer Rossland, Arrow Lakes, BC". ItemB-02613 - SS Rossland on Arrow Lake. ItemG-01191 - The City of Kingston arriving in Victoria; James Bay Bridge to the right; Christ Church Cathedral on the far left. ItemF-07741 - The SS City of Seattle. ItemI-32763 - The SS City Of Vancouver. Item B-01627 - "Steamer Rossland, Arrow Lakes, BC". 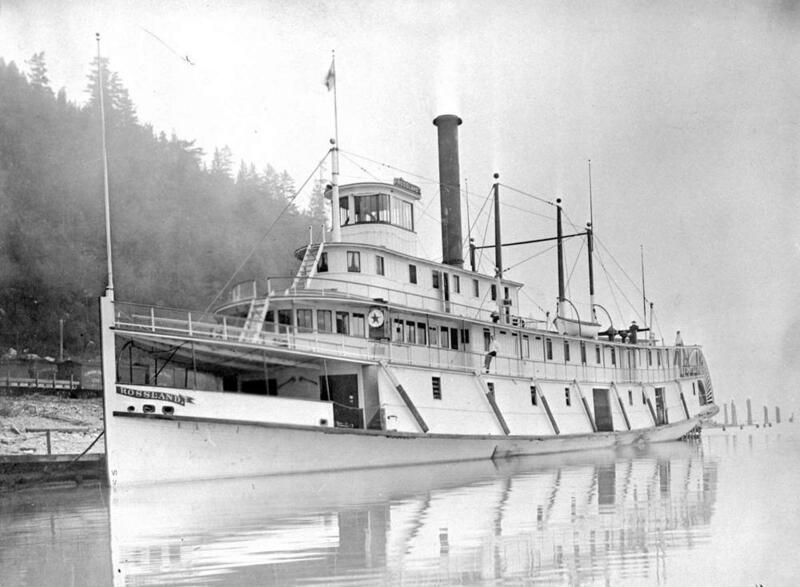 "Steamer Rossland, Arrow Lakes, BC".